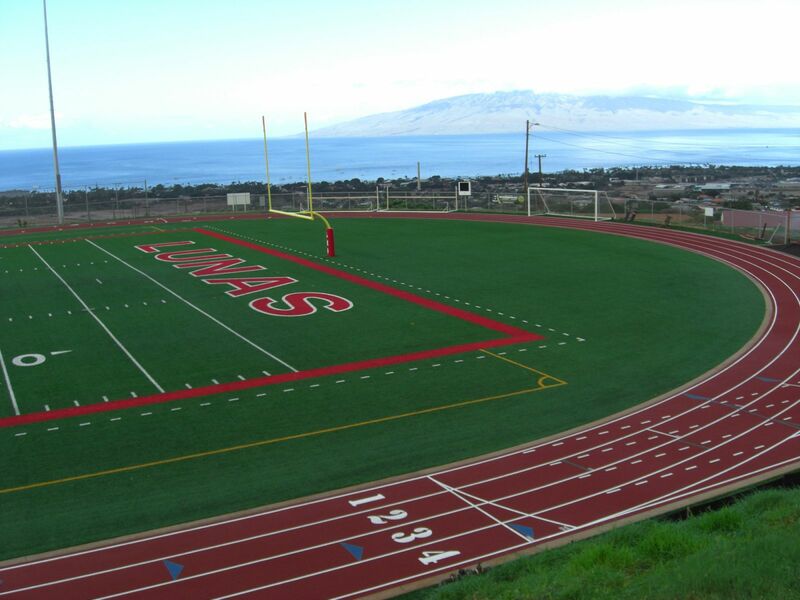 The Athletic Planning Program serves to develop projects that improve the quality of athletics at Lahainaluna High School. Athletics involves more than sports equipment and practice and gym facilities, but it involves relationships with the students involved in sports, the coaches, parents, and community. Buy a Brick. Build a Legacy. Purchase a personally engraved paver to show your support for the stadium project. View information and download order form here. This is a picture of the LHSF Athletic Committee upon hearing that a million dollars has been donated towards the stadium. Since then, the Foundation has received an additional, anonymous donation of an almost equal amount. The Northwest end of the old athletic field, 2008. The field as it looks after the 2010 completion of Phase 1 of the stadium project.